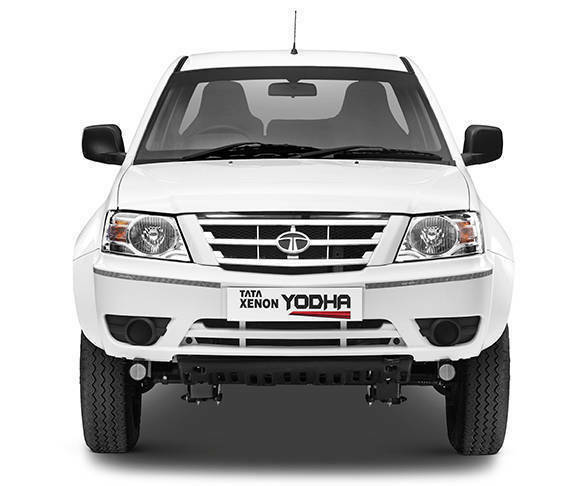 Tata Motors has launched its new range of pick-ups, the Xenon Yodha, in India. The pick-up comes in multiple variants  4x2 and 4x4 in single and double cab options. The prices for the Tata's first product of 2017 start at Rs 6.05 lakh (single cab - BS III) and Rs 6.19 lakh (single cab - BS IV), ex-Delhi. The Tata Xenon Yodha is powered by a 3.0-litre common rail diesel engine which as expected, is tuned for BS-III and BS-IV emission norms. The BS-III compliant engine generates 72PS of power and 223Nm of torque, while the BS-IV engine produces 85PS of power and 250Nm of torque. 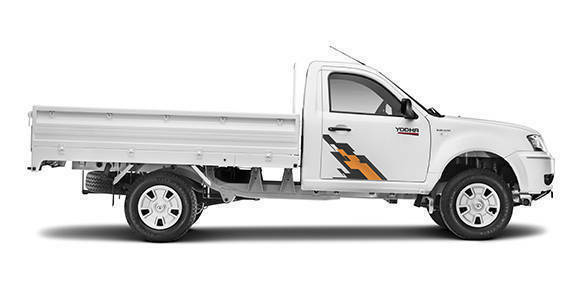 The leaf spring-equipped pick-up comes with 16-inch tyres. Inside the cabin, the Tata Xenon Yodha features an adjustable power steering and carpet flooring. In terms of safety, the pick-up comes equipped with anti-roll bars, 3-layered body construction, crumple zones, a collapsible steering column and retractable seat belts. In addition to this, the vehicle gets side intrusion beams which protect passengers during a side impact collision. Sadly, there is no mention of ABS or airbags. In terms of maintenance, Tata Motors says the service interval for the Xenon Yodha to 20,000km. As there is no LFL propeller shaft, which usually requires greasing, claimed maintenance charges are expected to be lower as well.